Earth Day may only come once a year, however, it is important to care for the Earth everyday. This is the only planet we call home after all. Increasing our environmental awareness and reducing our carbon footprint is becoming even more prevalent these days, with many striving to bring eco-consciousness to our homes. There are many benefits to making your home more environmentally friendly. Poulos LoPiccolo’s real estate practice group would like to offer some simple, yet effective measures you can take in reducing your carbon footprint and making your home greener on this Earth Day and beyond. Open your blinds to use natural light more frequently. 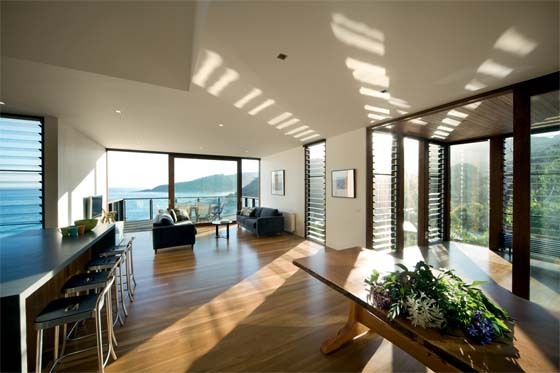 Take advantage of bright days by using natural light inside your home as much as possible. 10% of energy can be saved on heating by opening your blinds and curtains during the day to let natural light in. According to carbonfund.org, turning off your lights for just one hour a day will save 1.22 pounds of carbon dioxide emissions, which adds up to 0.216 metric tons a year. The simple measure of turning off the lights and using natural light can result in a huge amount of energy saved every year. It is recommended to replace traditional light bulbs with compact fluorescent lamps (CFLs) and light-emitting diodes (LEDs). 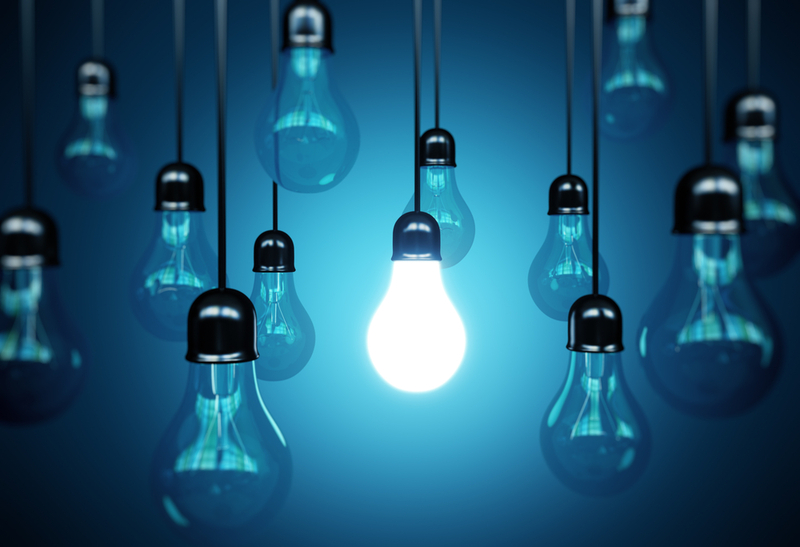 CFLs and LEDs save energy and have a much longer life span than traditional bulbs. According to sciencescene.org, CFLs use 60% less energy than a regular bulb, which will save you about 300 pounds of carbon dioxide a year. CFLs and LEDs will also decrease your electricity bills over time. Fix any and all water leaks in a timely manner. 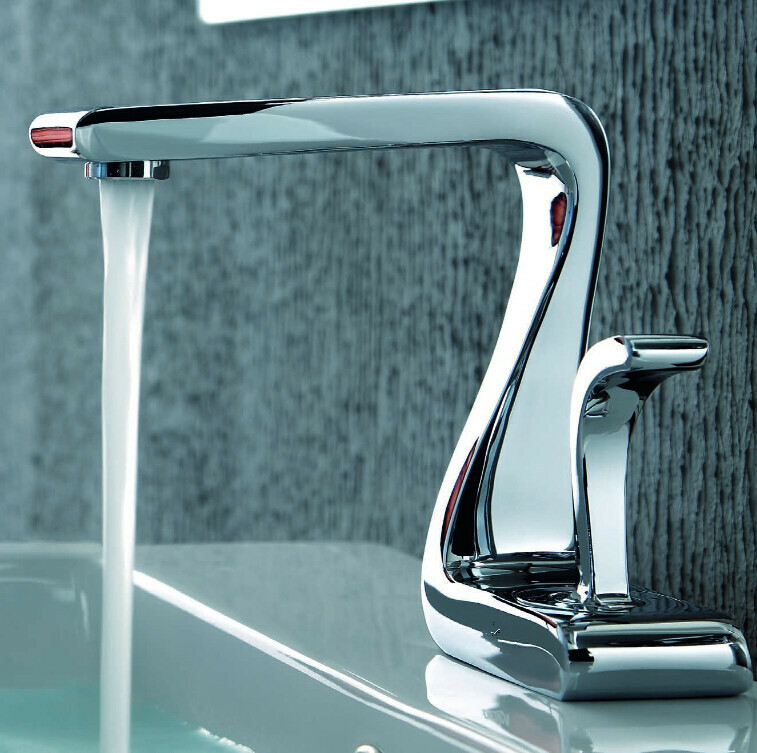 According to the EPA, a leaky faucet that leaks at the rate of one drip per second can waste more than 3,000 gallons per year, which is the equivalent of more than 180 showers. By maintaining your home’s pipes and other water sources, your water waste can significantly decline. Be sure to contact a professional for regular water maintenance checks on your home, as well as for more serious repairs. There are some simple measures you can take to cut back on energy and save money, such as turning off the AC or heat when no one is home, or lowering the temperature when you are sleeping. However, you can go a step further by installing a programmable thermostat. It is both cost and energy effective to install a programmable thermostat, since you will have greater control over your energy consumption, thus allowing you to save on heating and cooling costs. According to noaa.gov, adjusting your thermostat by just 2 degrees cooler in the winter and 2 degrees warmer in the summer can save money and reduce carbon dioxide emissions by 2,000 pounds per year. 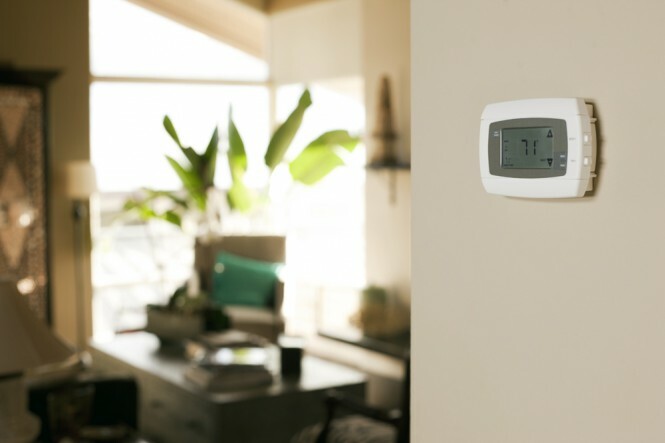 A programmable thermostat will allow you to regulate your home’s temperature according to the settings you create for certain times of the day. Prevent air leaks by properly insulating your home. Keeping your home properly insulated results in lower energy cost and consumption. 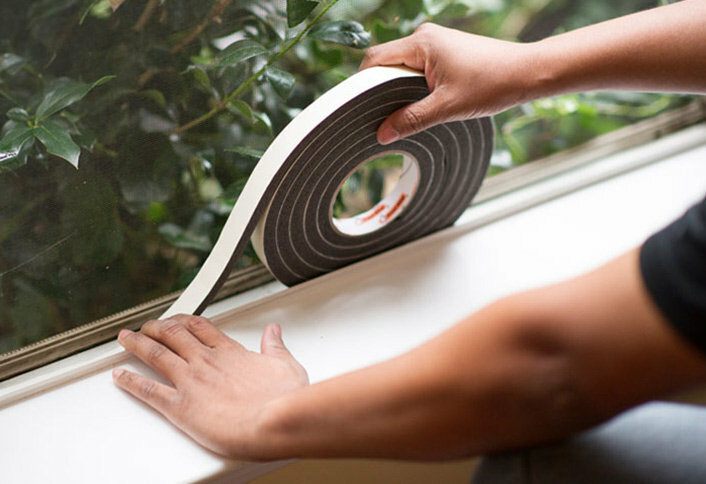 Installing weather stripping around your doors and caulk around windows prevents cold and warm air from escaping your home because your HVAC system does not have to constantly work to maintain the desirable indoor temperature. You can save 2,400 pounds of carbon dioxide a year by recycling half of the waste your household generates. Also, consider further reducing your carbon footprint by composting food scraps. According to the EPA, U.S. landfills account for 16.2% of methane emissions in 2010, in addition to 12.1 million tons of carbon dioxide emissions. 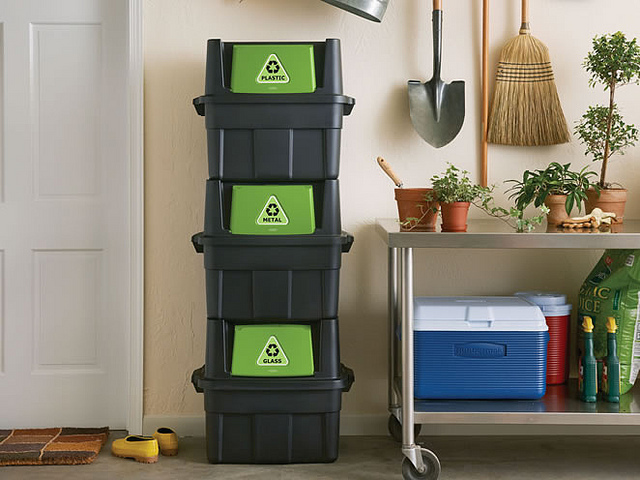 Recycling any and all waste from your home is one of the most effective ways in reducing our carbon footprint.